Ick! 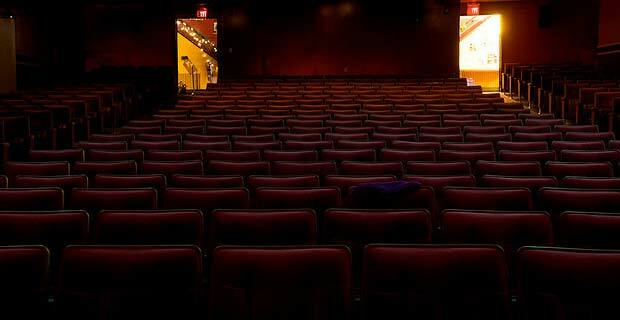 Fox 5 NY conducted an investigation of Manhattan movie theaters, taking spot samples from arm rests and concession stands and testing them. You might want to think twice about taking in a flick at the Regal Cinema near Battery Park, since the location had a total of nine sanitary violation points. “This is a pure culture of E. coli ,”the Fox 5 NY inspector said, pointing to a Petri dish from the counter top. “There could be any kind of virus there.” The countertop was inspected solely for bacteria, so other contaminants could very well be lurking. Does this news make you think twice about seeing a movie at the Regal Cinema? What’s that purple cloth draped over the seat ? Maybe a sweater that was lent.. then forgotten ? Silly for you to persecute Regal Cinema. 9 Sanitary violation points still constitutes an A in accordance with the Sanitary Inspection Grades. It sounds like someone is fishing for business in the area or something to be SO incredibly picky. Leave them alone! Sure they could improve, but why don’t you pick on all of the filthy establishments in the Winter Garden next door. Check out they’re previous Sanitary Inspection reports online and somehow they manage to hang an A in their windows- appalling!! !